Added rudimentary artificial intelligence to the enemy ships; they are now "aware" of the player ship, and will actively attempt to shoot the player down. 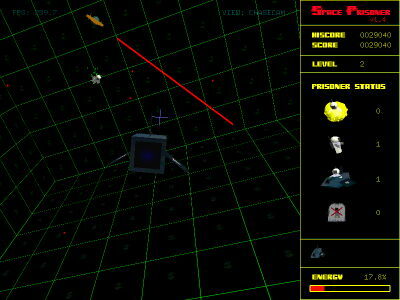 where dx, dy and dz are the attributes of a vector d describing the distance and direction from the enemy ship to the player ship. This vector must first be normalized.